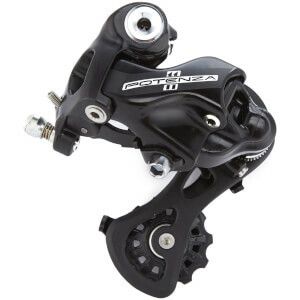 The Potenza 11 front derailleur bears a striking resemblance to those of the Revolution 11+ mechanical groupsets found on professional team bikes as Campagnolo engineers sought to not only add the same fresh aesthetics but also a performance on par with that enjoyed by the pros. 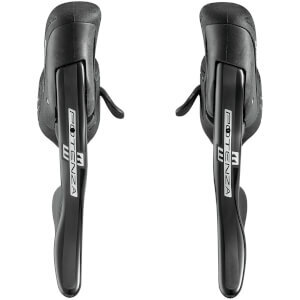 The Potenza 11 front derailleur for example boasts an upper body that has a design nearly identical to that of the Super Record mechanical model complete with longer arm to ensure less effort required to derail to a larger gear. One of the only differences that can be immediately seen comes in the form of the newly developed one-piece steel cage with a similar shape to the Super Record version. 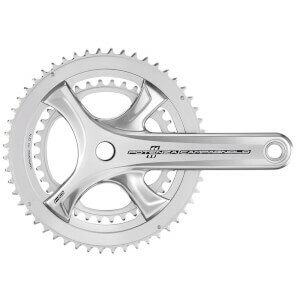 Potenza 11 is similar in design yet incorporates different materials to ensure derailing performance on par with Super Record with only a minor difference in weight. 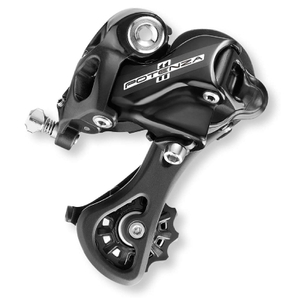 The new Potenza 11 front derailleur has the same shape of the Super Record one, in order to obtain similar performances. 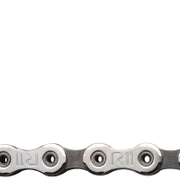 The Potenza 11 front derailleur will have a one-piece cage with a design similar to the Super Record one in order to assure the same shifting performances. 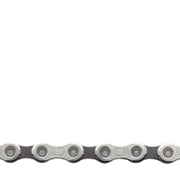 The outer semi-cage tip is shaped to improve the downshifting and the chain containment during the upshifting. 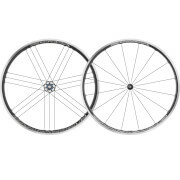 The front derailleur cage is positioned further back to allow the use of large sprockets range without friction on the bridge connector. Great fluency and smoothness during the upshifting. The fork angle allows to have a silent transmission even for extreme crossovers. The outer rod is redesigned in order to improve the force-displacement curve allowing to have higher shifting forces and increasing the performances also in high power conditions.